For use with Pallet Rack Guard Net Systems. 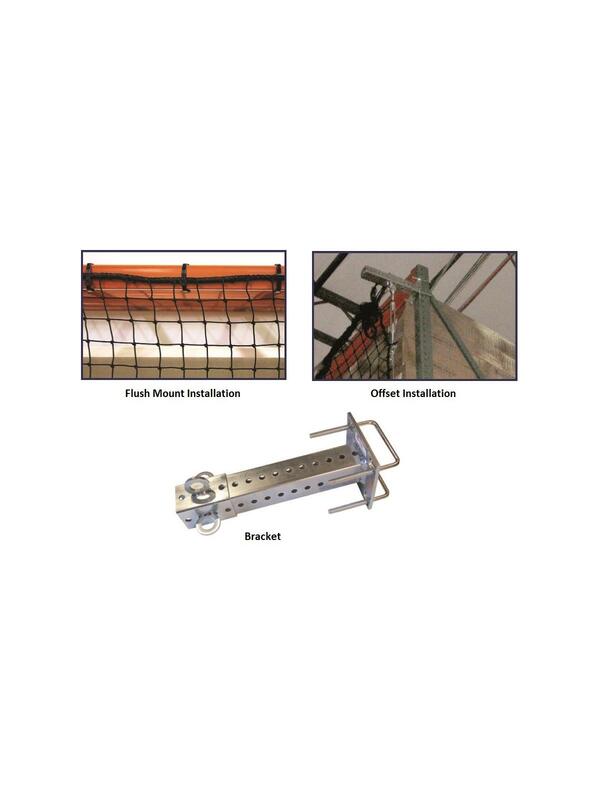 Heavy duty nylon tie wraps for flush mount installation are included with each net. If clearance for 3" or more of pallet/product overhang is required, select from the following items according to your installation requirements. 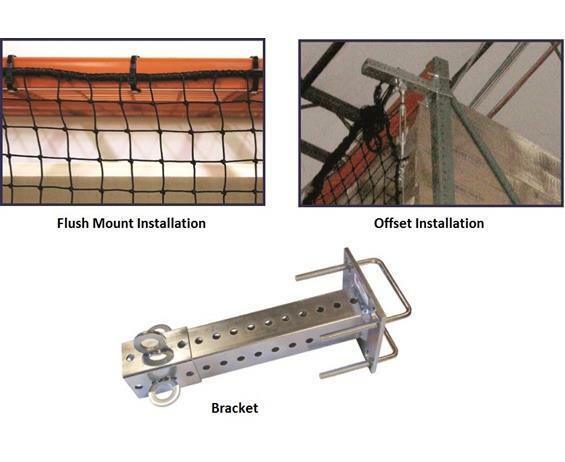 Base Unit Kits (H76050) include hardware needed to mount a single net using adjustable offset brackets. Add-On Kits (H76051) accommodate additional adjacent nets. Offset kits do not include cable, which is ordered separately in quantity to accommodate the total perimeter measurement of all nets to be offset installed. FOB Shipping Point.